Are you a potty-mouthed bride? Or are you a groom that’s known to drop a casual f-bomb here and there? It’s not uncommon for us to overhear a curse word or two inside the walls of our small town wedding venues. Here in Kansas City, it’s not terribly uncommon for grandpa to be the one using the dirty language. If you have a foul-mouthed group, why not incorporate a little profanity into your wedding day? It can be a fun way to let everyone know you aren’t taking yourselves too seriously. We are all for tossing aside buttoned-up traditions and making weddings more down to earth. That’s why we’ve rounded up 10 Etsy finds that are perfect for those brides or grooms with a heart of gold but the mouth of a sailor. 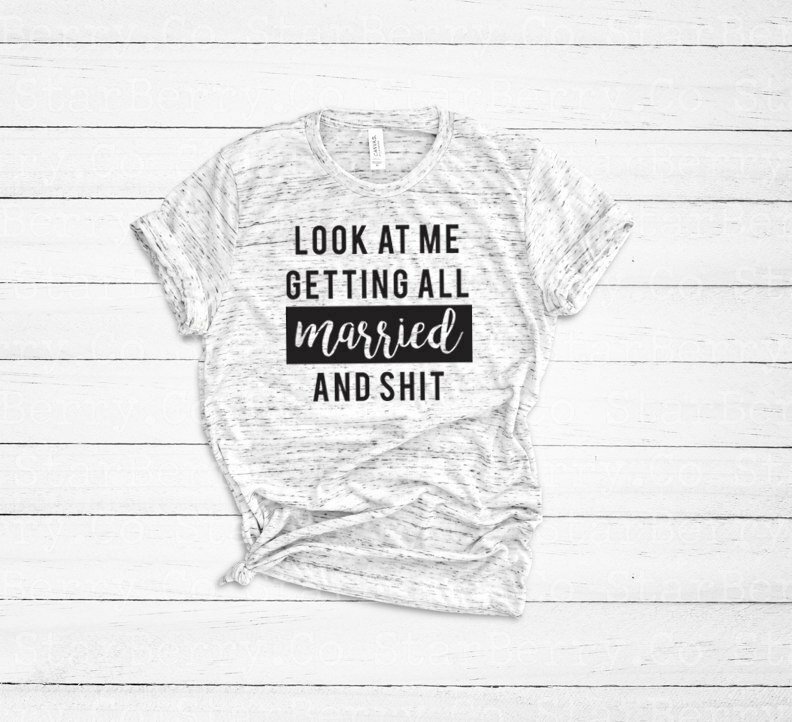 Wake up on your big day and throw on this perfectly planned tee. It’s unisex and looks great on brides & grooms alike! Feel like you’ve been waiting forever to walk down the aisle? Now that the day is finally here, start it off right with some hot coffee in this adorable mug! 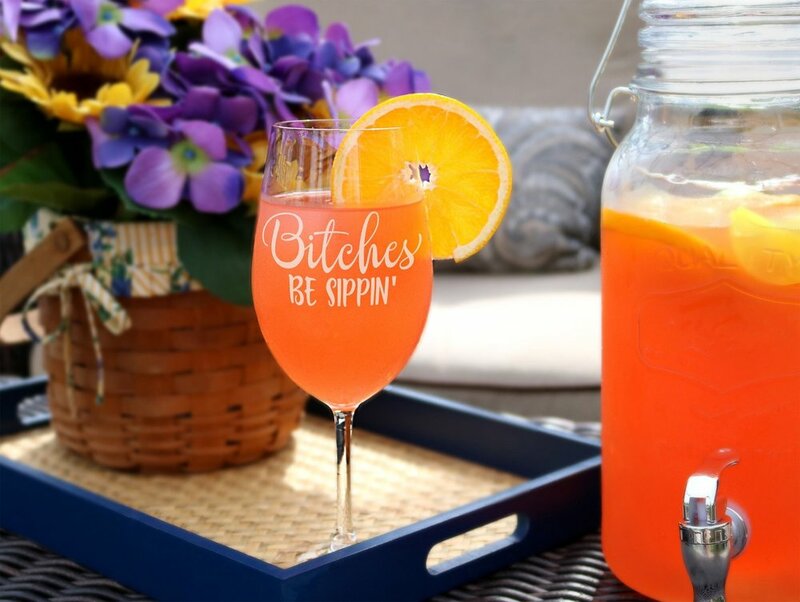 Sippin’ mimosas with your girls on your big day is a must. Bring along these glasses as big day gifts for your best gal pals. Keep this hanky close by for all the feels and as a not so subtle reminder to hold in the happy tears. Remind your messier guests to mind their manners with this cork table topper. Make all your guests laugh with this profane and to the point cake topper. Let your guests know they have officially arrived to the party of the year. Feeling fancy? 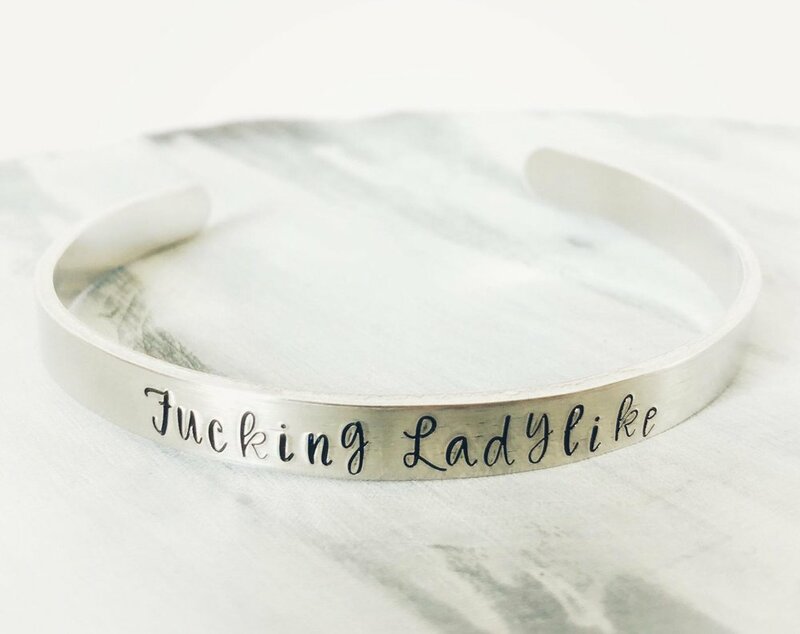 Why not acknowledge it with this stylish statement bracelet. This denim jacket would look adorable on any bride with a rebellious side. Send your love ones on their way with the needed equipment to survive the next day! While you’re on Etsy, check out these awesome (and family friendly) unity ceremony finds! Let’s get back to basics. What exactly does it take to get married in this day and age? The wedding industry would have you think you need an entourage of family, wedding planners, florists, and paparazzi just to do the deed. Pinterest is filled to the brim with wedding articles titled “must have” this and “can’t miss” that. When searching for a little guidance, you’re so quickly pointed to planning the things that should be just the icing on the cake. Quite literally, the second you enter the world of wedding planning you are bombarded with pictures of elaborate cakes and quizzes to find out if you’re more a buttercream or fondant kind of couple. We believe that wedding planning should start with the brass tacks. That way when the entire world inevitably pitches you their idea of what your wedding should be, you are more equipped to sort through what is required, what really speaks to you, and what is just extra junk. What really matters at the end of the day is that you have a legally binding marriage with the person you love most in this world. So we’re here to be the voice of reason and tell you the 5 steps that are ACTUALLY a “must” when it comes to getting married. Quick disclaimer folks. We are not lawyers and marriage law varies across counties, states, and countries. Double check your facts before you tie the knot! First things first, let’s talk about the document you need to obtain to make this thing real. Back in the day, all sorts of things were required to get a marriage license, like taking a blood test to make sure you and your future spouse weren’t related (this is actually still required in Montana…). Let’s not even talk about the old ways of providing a dowry to the bride’s family. Luckily, today most of what is required to get a marriage license from the local courthouse comes down to documents, deadlines, and dollars. This is where the numbers come in. Here in Missouri, you are required to go to a county courthouse together with 2 forms of identification each, $50 dollars total, and within 30 days of your wedding date. That’s right, your marriage license, if not signed, expires in just over the time it takes milk to expire. So pick a day a few weeks out from your wedding and make a little date out of your trip to the local county courthouse! 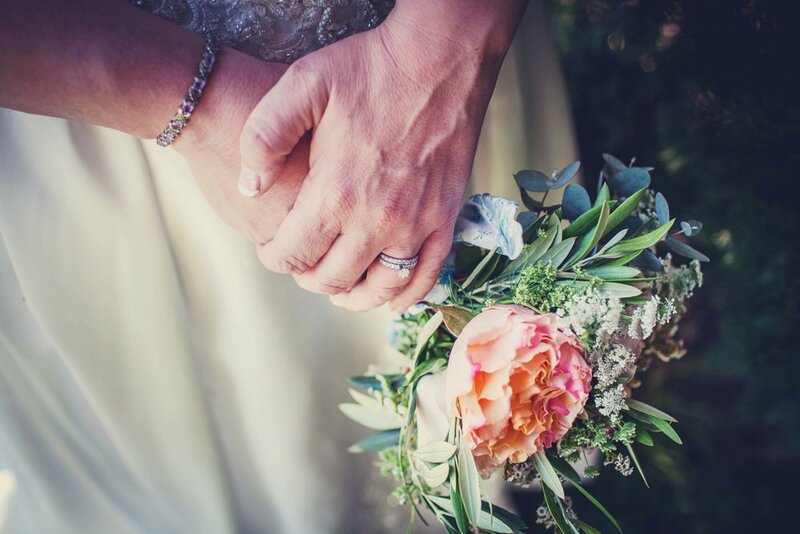 If you’re getting married with The Vow Exchange, click below to see where you need to go and what to bring to get your marriage license. This one is pretty easy because all you need is 2 living, breathing, humans over the age of 18 to witness your ceremony. Even though choosing your witnesses can be one of the easiest parts of a wedding to plan, it is often forgotten by coupes until the day of. 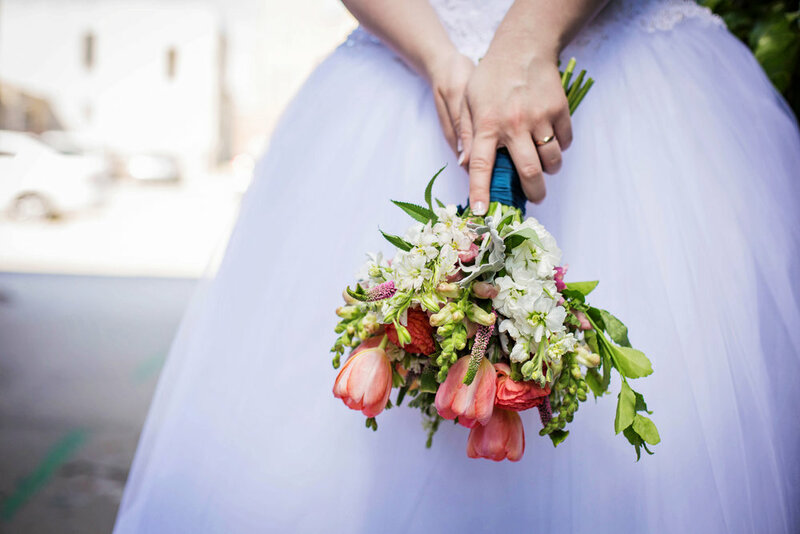 If you’re wondering who is typically chosen as witnesses, we can tell you it’s a role that often goes to the best man & maid of honor or one type of immediate family member from both sides (moms, dads, siblings). The great thing about getting to choose your witnesses is that you can use it as a small, but meaningful way to honor two people you hold dear. Finding the person who is going to marry you probably takes the most planning out of any of these steps. Anyone hoping to get married by a friend or family has probably googled the words “how to become a wedding officiant”. 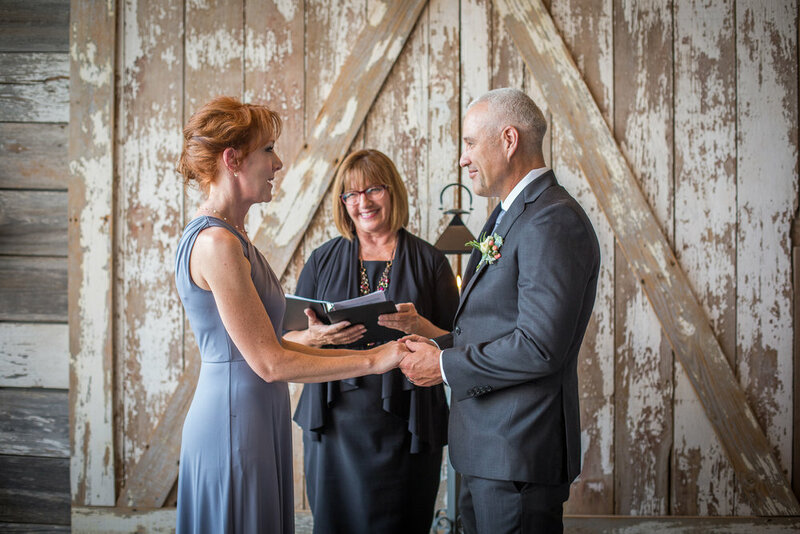 Here in Missouri and in most of the US, a marriage ceremony can be legally performed by a clergyman, judge or a religious society, institution, or organization. Turns out that’s a pretty wide group of folks. So if you already belong to a church or subscribe to a specific faith, chances are any leader can solidify your union. If you’re looking for a strictly civil ceremony, judges can do that, but not every courthouse provides this service (for instance, you’d be out of luck here in KCMO). However, there are online organizations, such as The Universal Life Church and American Marriage Ministries, where almost anyone can join and quickly become certified to perform a legal wedding ceremony! AKA the “I do”s. Whether you stick to the script or go off book, declaring your intent to take your spouse to have and to hold from this day forward- or some version of that - is a must! Even if they are the only words you say on your wedding day, “I do” is absolutely, 100% required. This is where the officiant seals the deal. “By the power vested in me by the state of Missouri and in the name of love, I now pronounce you husband and wife”. These words echo through our little chapels here in Kansas City every single weekend. While the specifics can be altered, the words “I now pronounce you” make up the key phrase. Once you hear these little words, you are officially known as newlyweds. DON’T FORGET! [Step 1] The License, should be signed by [Step 2] The Officiant and [Step 3] The Witnesses. Make sure the license gets back to the courthouse asap so it can be filed and you will officially be known as Mr. & Mrs. (or Mr. & Mr. or Mrs. & Mrs.) from this day forward! Listen along as wedding planning gurus Kathryn Hogan & Amy Rizzo break down this exact topic on the “I Do Rescue” podcast! 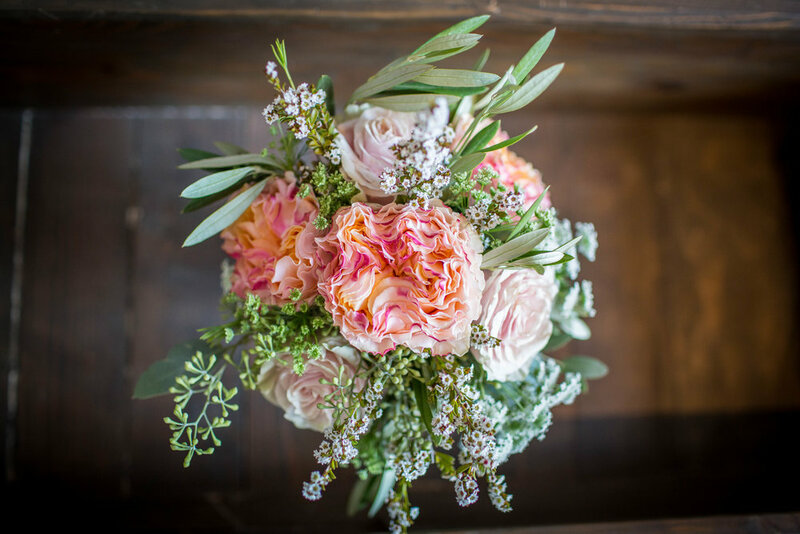 The Vow Exchange expert florists, Jillian and Jessica, consistently "wow" us with luscious, hand-tied, fresh flower bouquets. Best of all, The Vow Exchange has perfected the customization process so making your dream bouquet is easy, affordable, and fun! 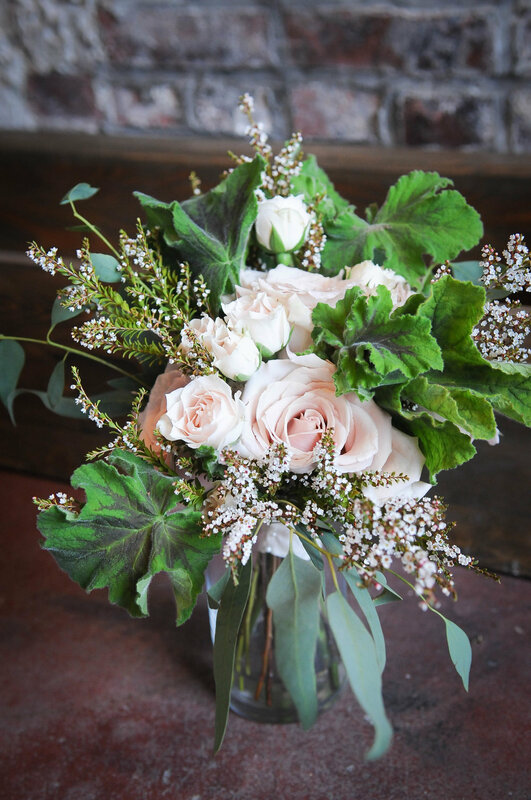 Their all-inclusive “Everything” wedding package includes a hand tied bridal bouquet and matching groom’s boutonniere that YOU customize by picking your two favorite colors and a premium flower. You can even add on coordinating flowers for your wedding party! 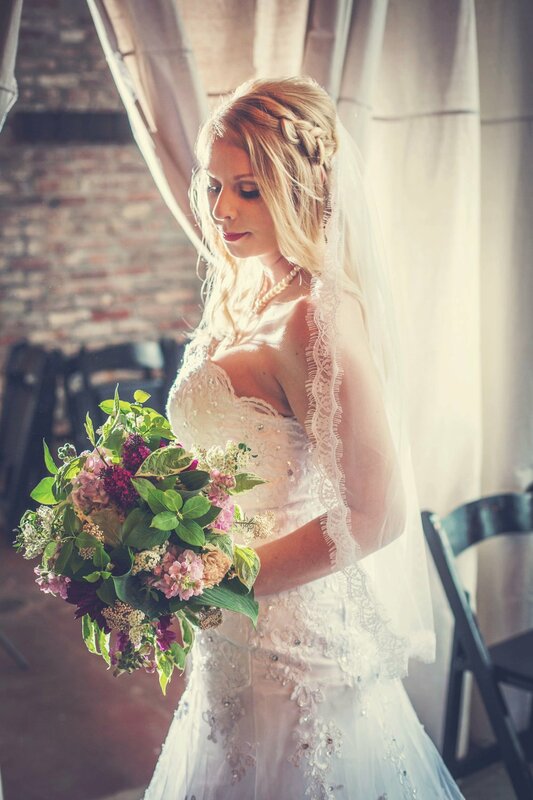 These well known Kansas City wedding florists have been crafting arrangement for couples getting married at the small wedding venue for over 5 years now. 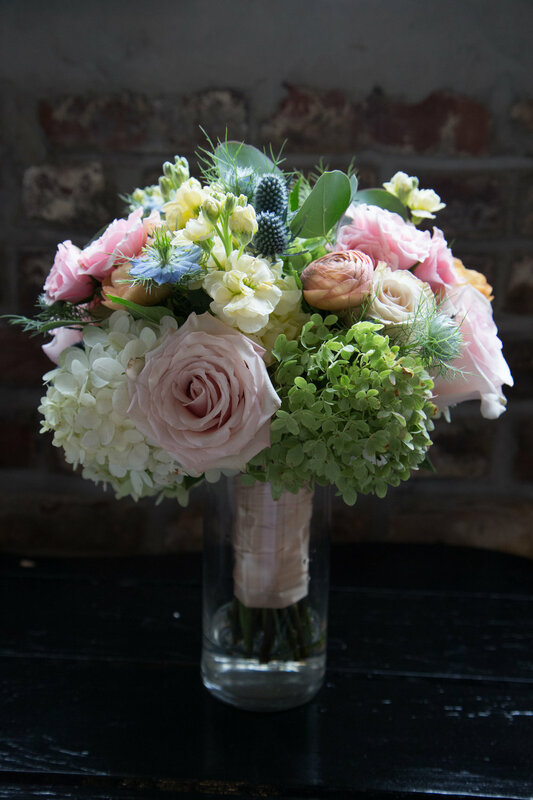 So we looked back through the dozens of bridal bouquets from over those years and picked out our 10 favorite springtime arrangements to share with you! Which one would you want to carry down the aisle? *Pro tip: click the picture to see the beautiful blooms up close & click again at the bottom for more details on the featured flowers! Sometimes it's the little details that steal the show. It even looks incredible upside down! Heather beaming as she makes her entrance. 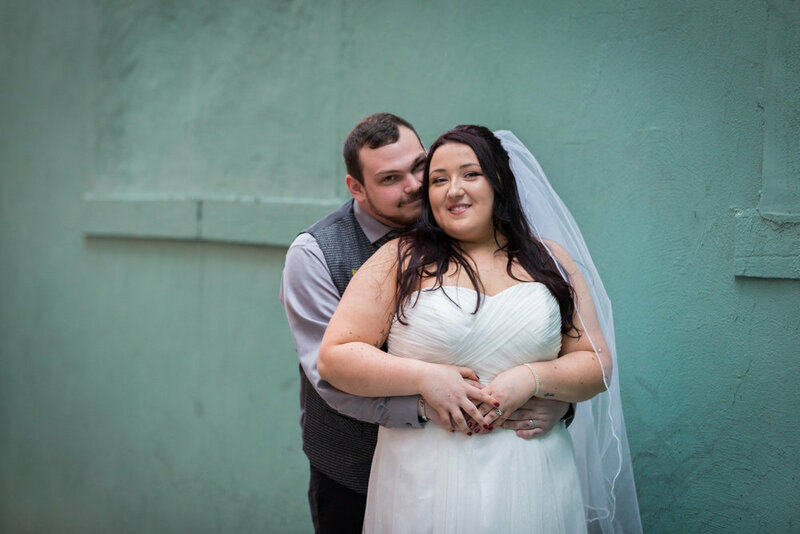 Katrina & Javen glowing and in-love! Roses, Hydrangeas and Thistles! Oh my! Maranda & Neal smooching in the beaming light. Garden roses & diamonds go great together! Allison & Kevin are so sweet! It's the little details that make an arrangement special. Flowers aren’t the only thing for customizing! 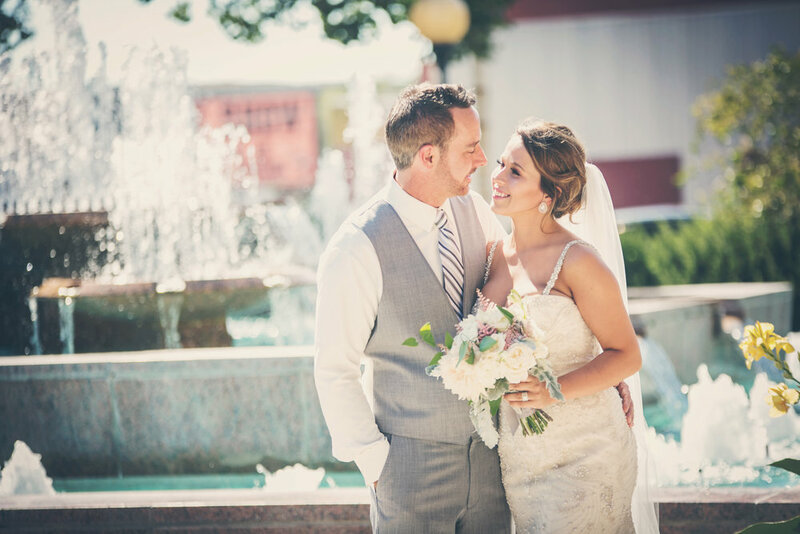 Choose how you want to walk down the aisle with inspiration from 5 flawless Vow Exchange brides.